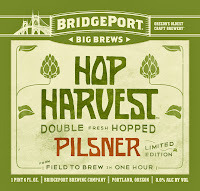 PORTLAND, Ore. – September 10, 2013 – BridgePort Brewing Company decided to try something new this year with its Hop Harvest beer. 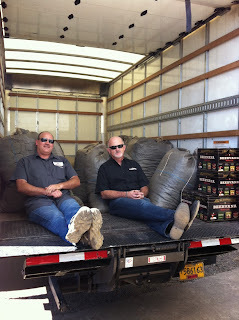 BridgePort’s brewmaster, Jeff Edgerton, took two trips to Annen Farms in Mt. 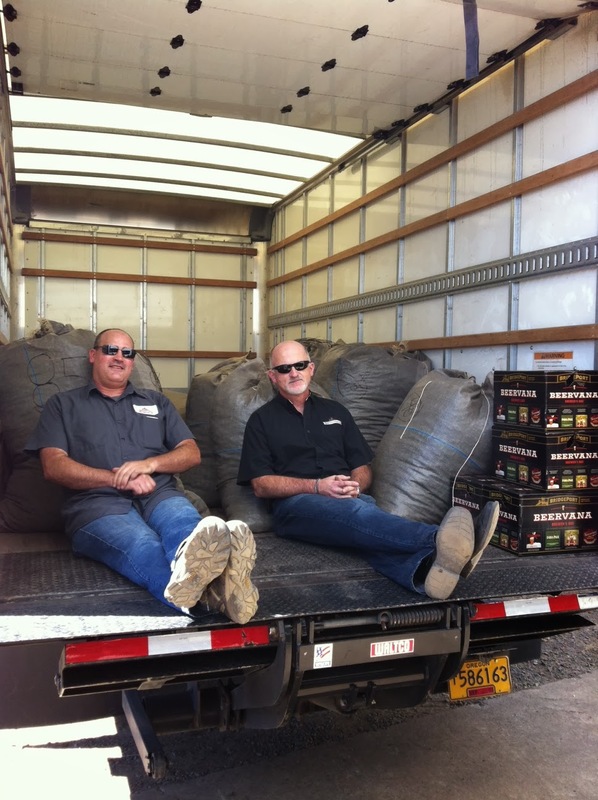 Angel, Oregon to harvest over 900 pounds of fresh hops to use at the top and the bottom of the brewing cycle. The BridgePort team was on their way to harvest four hundred pounds of fresh, green Oregon Fuggle hops earlier this summer to get Hop Harvest started. At the end of fermentation, the team returned to collect an additional five hundred pounds of green Tettnang hops to add before cooling. The two step process of adding hops at both ends of brewing embodies the meaning of fresh and local. 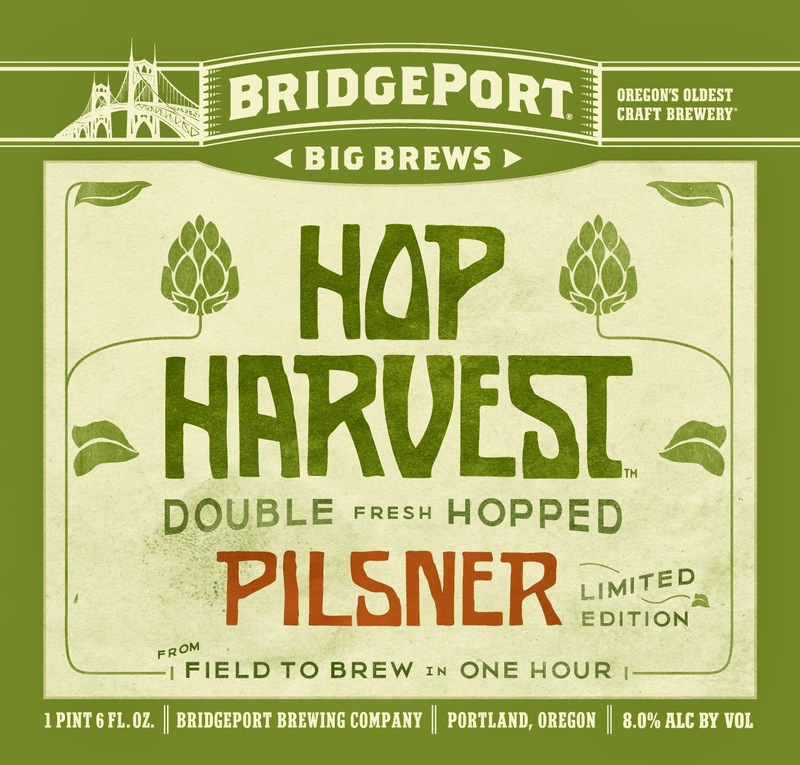 The result of two trips south and 900 pounds of hops later is this year’s Hop Harvest: a double fresh hopped imperial pilsner that locks in the aromas and flavors of the fresh green hops picked straight from the field. Ingredients: Green (undried) Oregon Fuggle hops and green Tettnang hops with a Great Western Superior Pilsen base malt. Description: An Imperial Pilsner with a golden color around 60 IBUs with Oregon Nugget Hops and Oregon Fuggle in the hopjack. Green Tettnang hops were added at the end of fermentation before cooling. 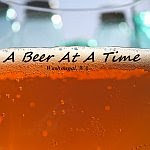 Oregon's oldest craft brewery continues to evolve from a microbrewery to a regional leader in the craft brewing market, while remaining faithful to its commitment to producing high-quality, innovative craft ales. The BridgePort family of ales includes IPA, Hop Czar, Kingpin, a seasonal lineup including Witch Hunt and Ebenezer and a collection of Big Brews. BridgePort Brewery is located at 1313 N.W. Marshall St. For more information, call 503-241-7179 or visit www.bridgeportbrew.com.